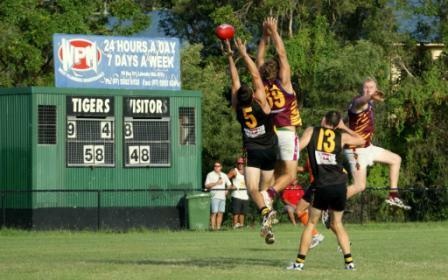 The Labrador Tigers play at Cooke-Murphy Reserve on the Gold Coast. 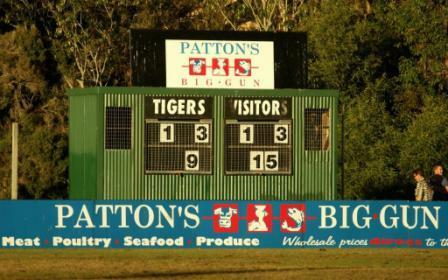 The scoreboard is a solid secure structure, its paint job nicely merging with the surface of the oval, the local flora, and a rubbish bin. In the photo above the Tigers are ten points up but the visitors appear to be making the most of their opportunities. 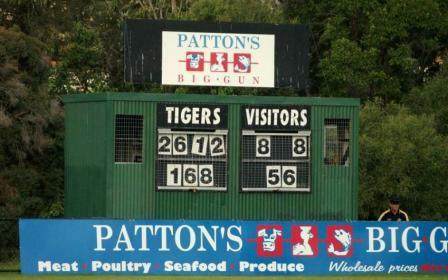 A big win for the Labrador Tigers, and the sponsors would be happy too. The above three photos are all courtesy of Matthew Kirk. 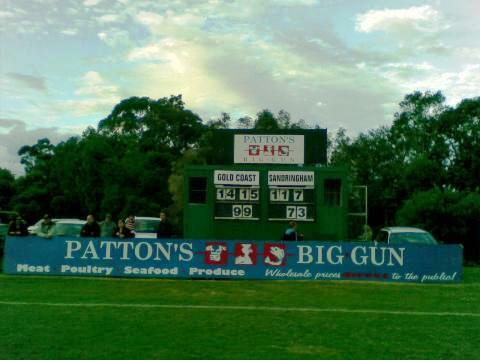 Cooke-Murphy Reserve hosted the Gold Coast Suns VFL game against Sandringham on 24 July 2010. Photo by Sandringham supporter Doug Newington.